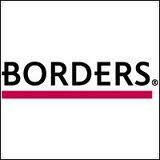 Borders will likely close after a deal for its sale fell through last week. Borders Group is closing its remaining 399 stores while liquidating its assets, it was decided after a deal fell through this week. The brick and mortar book store was founded in Michigan in 1971 by brothers Luis and Tom Borders, according to the Detroit Free Press.